Back from the Motorola event today in Chicago and we’ve got your first unboxing of the Moto Z3! 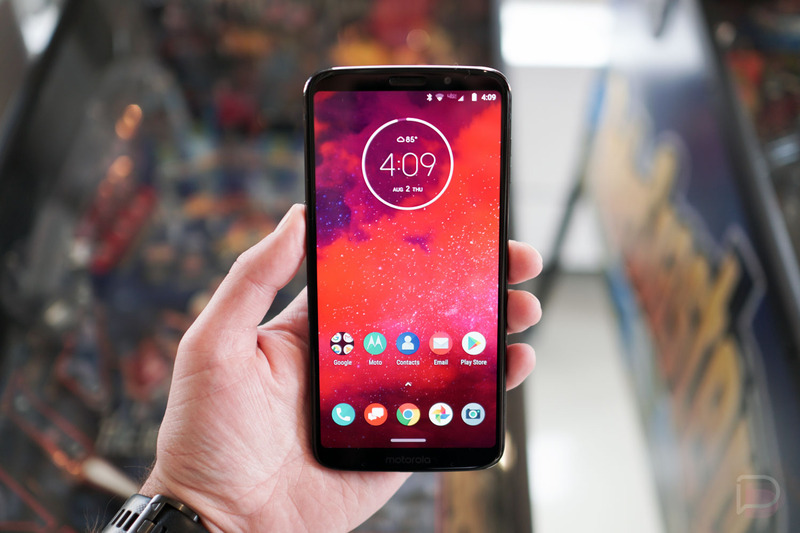 The device is now official, will cost $480 at Verizon, and should find itself 5G connectivity at some point via Moto Mod. The Moto Z3 is an odd little fellow. We thought for sure that this would be the Motorola flagship of 2018, yet it’s very much got 2017’s specs (like a Snapdragon 835 and 4GB RAM). Sure, it matches up nicely with high-end phones from last year, but it’s almost late 2018. Of course, the price tag is where it’s at because of those somewhat older specs. And honestly, this phone seems like kind of a steal at $480, I’m just not sure people will flock to buy a phone with year-old parts. Or maybe they will? I have no idea. Either way, we’ve spent a bit of time with it, but thought we’d share this unboxing first before getting to our Moto Z3 review.